As biomedical research advances into more complicated systems, there is an increasing need to model and analyze these systems to better understand them. For decades, biologists have been using diagrammatic models to describe and understand the mechanisms and dynamics behind their experimental observations. Although these models are simple to build and understand, they offer only a rather static picture of the corresponding biological systems, and scalability is limited. Formal specification and analysis methods, such as model checking techniques, hold great promise in promoting further discovery and innovation for complicated biochemical systems. Models can be tested and adapted inexpensively in silico to provide new insights. However, development of accurate and efficient modeling methodologies and analysis techniques for biochemical systems is still an open challenge. 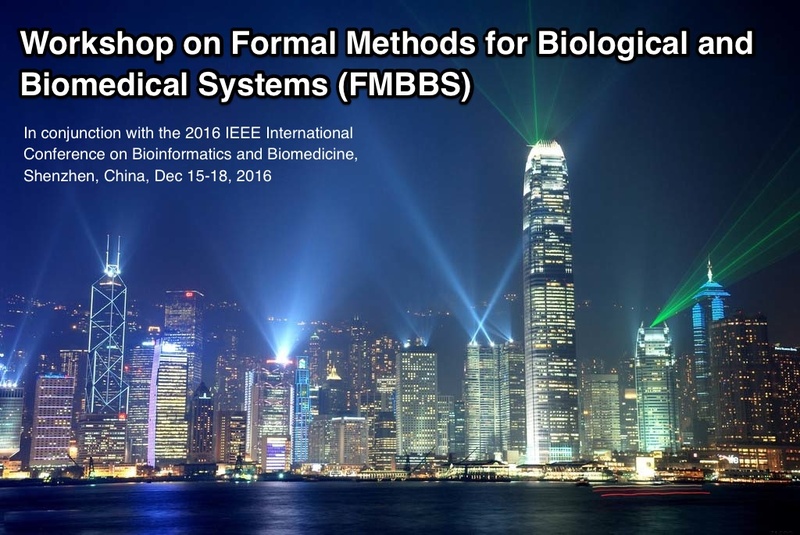 This workshop will provide an opportunity for practitioners to present their work in this area to both computer scientists and biologists and develop new collaborations. - Combining formal methods with other techniques (e.g. machine learning techniques) for biological and biomedical systems.